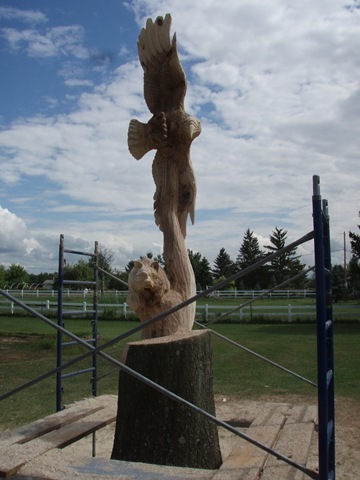 The people are all very happy with there carvings. 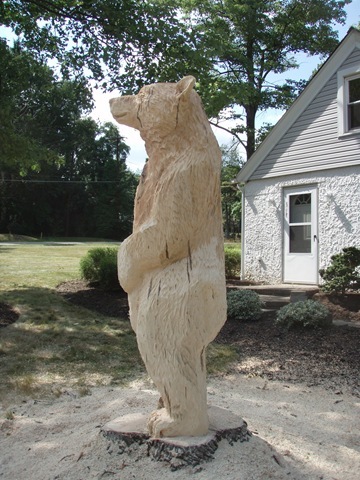 I had to take a few days off because I hurt my shoulder. 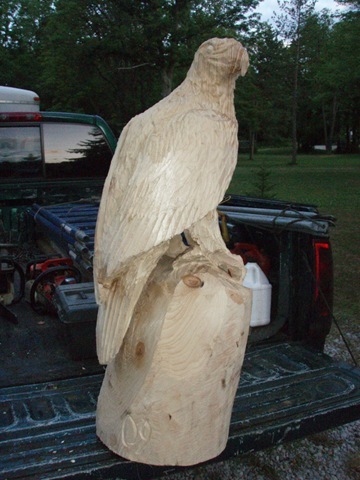 But I have been busy this last week. 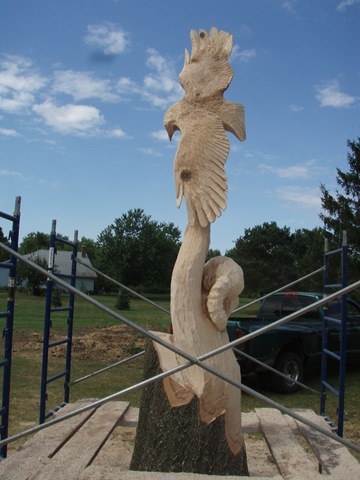 Here are some pictures of the carvings. 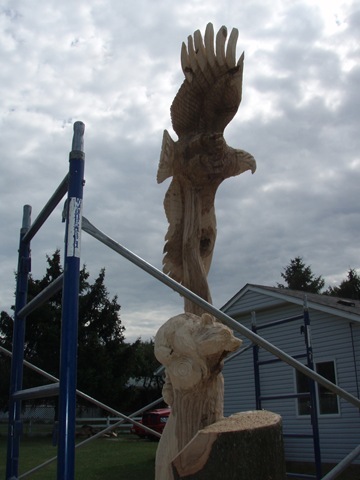 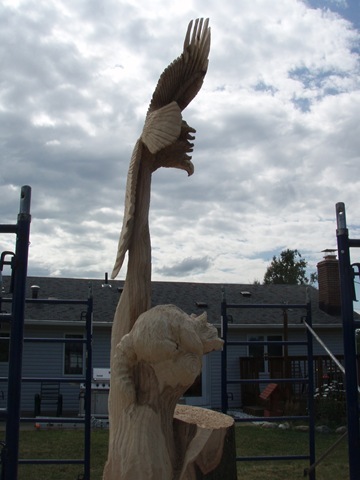 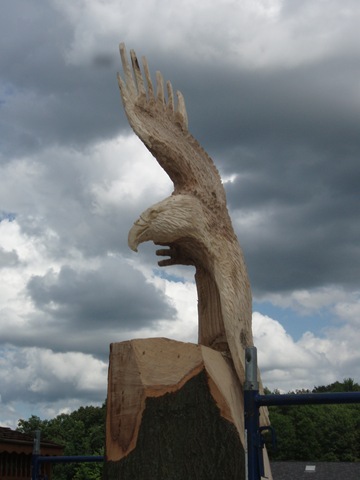 The big eagle piece could be the best on site carving of the year. 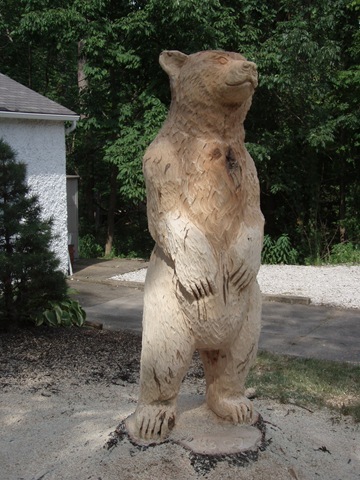 They are so happy and I still have to carve a deer in the bottom.